I received this wonderful award from Shirley. http://cardartetc.blogspot.com/She used to live in Reno NV and now lives in kannopolis NC. She found me through the blogging world and since then we have communicated through e-mail. Shirley is so sweet and creative. She has helped me help the kids with their postcard tour around the world by posting on her blog and she has made the kids beautiful cards. I will have to take some pics and post soon. Shirley I am honored to receive my very first award and two at the same time. Thanks sweetie. The cyber world and all my cyber friends are growing and I love meeting all you wonderful ladies. Thanks for being you ! If you have never been to my site please please send us a postcard and post about it on your blog. See at top of blog for details. The following in not in any particular order. Okay so I added one more person. I am a rebel and break the rules! The rules are I am to: A. Display the award on my site, B. Hyperlink back to Tasha's blog, C. Give the award to 8 more people D.then notify them of receiving the award and E. Advise them to pick it up at my site. 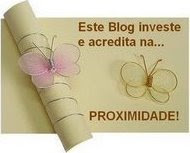 Below is a translation of the Portuguese words and the rules for the award:Translating the words on the above award from Portuguese to English: "This blog award invests and believes in proximity - (creating friendships)!" [meaning, that blogging makes us 'close' -being close through proxy]. These are the other words to be included with the award: These blogs are exceedingly charming. These bloggers aim to find and be friends. They are not interested in prizes or self-aggrandizement. Our hope is that when the ribbon of these awards are cut, even more friendships are propagated. Please give more attention to these bloggers! Deliver this award to 8 bloggers who must choose 8 more and include this written text into the body of their award.Accordingly I award the following 8 (10) people: 1.Dawn I met Dawn http://dawn-in-nz.blogspot.com/through SCS and she has been a good friend to me. She too has helped me with postcards and my dislike to remain still long enough to read. Thank you Dawn for the encouragement.Dawn loves taking pictures and has lots of it and you can see New Zealand through her eyes. 2.Becky Roberts http://inkingidaho.blogspot.com/ she is a very talented lady with loads of crafting ideas. I visit her blog often. check her out for some creative ideas. She is very good about answering any questions and getting back to you. Thanks Becky for your help. 3.Tracy Jackson http://tj-runningwithscissors.blogspot.com/ Tracy is from England and is so sweet. She is a hard working mom and a very talented lady. She bites of more than she can chew but she never chokes and always swallows. All her new projects get done and she seems so organized yet terribly busy. Tracy not sure how she do it sweetie. Love all that you do. Tracy also posted on her blog about our postcard tour. Thanks Tracy. 4.Jami http://westamphappy.blogspot.com/ another sweet mom who is an army wife based in South Korea but is from the U.S. Met her through SCS as well and she was so sweet to post about the postcard tour on her blog. Another creative lady with goodies on her blog. Check her out. 5.Nicole from Canada http://luvatfirstscrap.blogspot.com/ I met lovely Nicole on http://www.photochallengeblog.blogspot.com/ She is part of my photography group and loves digital scrapbooking. She is very good at it and has helped me along the way. Thanks Nicole. She has also helped with the postcard tour. Check her out ! 6.Melissa http://dezinegirl-melissa.blogspot.com/ Met this nice lady on the photo challenge blog as well. We connected as her kids are similar to the age of my kids. 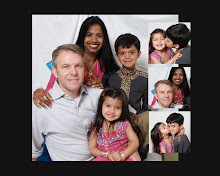 She is also married to an Indian man and we have compared some notes about the culture even though he is from India and I am Indian from South Africa. She is a wonderful mom, wife and woman and love reading about her trails and errors as mom as well. Check her out. 7.Jessica http://handmadeboutique.blogspot.com/ A very busy lady. Met Jessie on SCS and she is so wonderful and sweet and extremely talented. She hosts several swaps on http://www.splitcoaststampers.com/ I have participated on several and we have talked almost every other day through private messages, the forum and e-mail. Check out her latest craze with diaper cakes. Love them. 8.Kristen Mosbarger http://kristinmosbargerphotography.blogspot.com/ This is a truly strong mom that I admire. I met her through the photography group and love to read her blog about her family and her darling children. Kristen is contributing in a huge way to the Autism foundation. Kristen you are a great mom and I love your stories. Thanks for sharing. This is wonderful stay at home mom that homeschools her children. She is a woman with greta organizational skills ans has a library system to the toys her kids play with. She is one patient woman. Check out her cool blog with lots of stamping ideas. Thanks so much for thenice award!! Awwww.... you're sweet!! Thank you!